Day one patches… a relatively new development in the world of gaming, we certainly never saw any of these of the Nintendo 64, games couldn’t even be patched! The introduction of games having online capabilities and consoles having internet connection may be one of the best and worst things that has happened to the gaming industry. Here’s why. “Back in the day” games consoles didn’t even feature any form of online capabilities, this only really became standard on the PS3 and Xbox 360, although the Original Xbox did carry some update capabilities, it wasn’t fully utilised as most users did not have the internet to support it well and it wasn’t a necessity at the time. 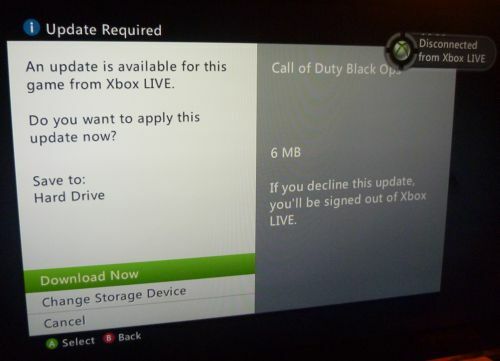 The introduction of consistent updates and patches really started with the Xbox 360 and the generation of consoles that came with it. Online gaming became the norm, and with more people being online for gaming, the more developers could tweak and patch their games through gamer feedback, very good! It works because all games will carry a bug here and there that can now be ironed out, whereas this was not possible in the past. Day one updates frustrate me a little, though I realise there use, the idea that a game needs a patch day one always worries me. It screams that the developers discovered an issue between production and release, and what do the people who don’t have internet do? The reason this blog has come to mind is due to Evolve having around a 3gb update (varies for each platform) on day one, its slightly better that this game is online only so no one can miss it anyway and some of it was added through community feedback from the beta so thats a big thumbs up. But should it be acceptable that a game is releasing with stability issues? 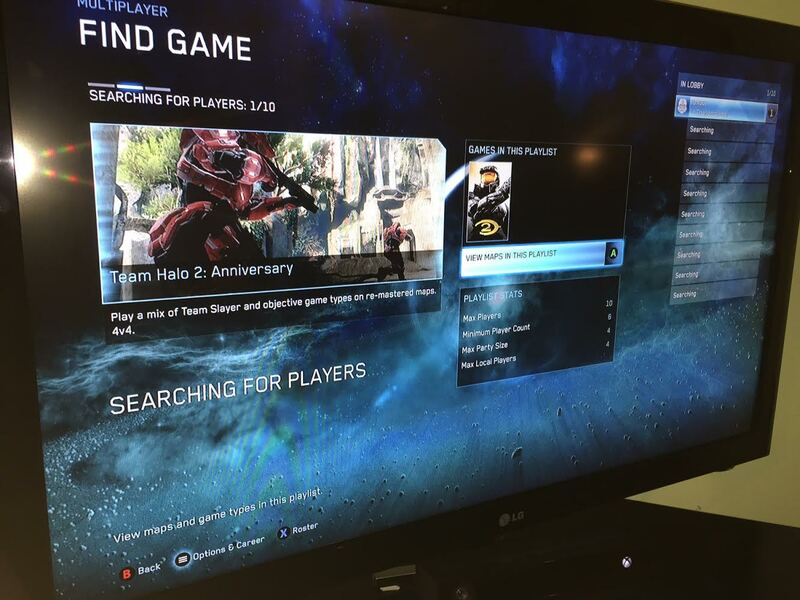 They may be instantly fixed, but Halo Master Chief Collection is showing that updates don’t always fix issues. My trust in games has been affected badly by Halo MCC, it’s a great game when it works, but it doesn’t work often, I have played a handful of matchmade games and that is it! Day one patches are okay, as long as the patch FIXES the issue. The current gen/ next gen, whatever its called now days, is supposed to be leading innovation with better, faster games, but there has been a number of games that have had calamity releases and made many gamers very frustrated. Broken games should not happen, and considering its 2015 there is no excuse for not testing your games. 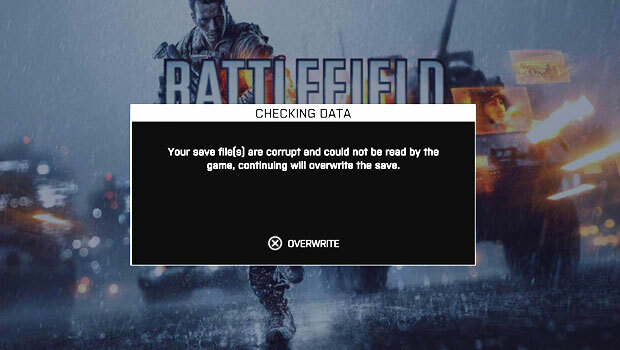 Battlefield 4 seemed to start the trend off, even after a beta! The game crashed, lagged, you would struggle to join games, you could never join with friends in a squad it was generally pretty damn screwed up. To make it worse they took multiple updates (small and large) to get the game to state that worked efficiently. The amount of time and man power this took meant that premium members did not get what they signed up for as map packs were delayed due to more of the team fixing the game rather than expanding it. Dice have done themselves no favours with fans and shareholders, getting in trouble for launching the game too early. Halo Master Chief Collection is the game of which the developers didn’t need to do too much, yet still managed to screw it up pretty well. Four months down the line and the game is still not fixed, matchmaking is inconsistent and joining friends can still be a mild nightmare. This has been pretty frustrating, I have still only played a handful of matchmade games on halo due to the process being full on broken. Its a shame that Halo messed up, its a great series that has been very tarnished due to the poor launch and attempted fixes on a REMAKE of old games. Most recently is the developers of Dying Light, “TechLand”, having a “manufacturing issue” with the game and therefore only North America have gotten hard copies of the game. Yeah sure the game is available for digital download, but a lot of gamers prefer to collect their games and have a physical copy. Whats more, the hard copy is delayed a whole month, yeah you read that right, a month to produce more discs… I think Techland need to have a serious look at their manufacturing process because that is piss poor. On the lighter note, Techland have issued all of the buyers who have had their copy delayed all the DLC for free which is a nice gesture. Developers seems to consistently be screwing up in different phases of creating a game, and to make it worse, it seems to hit more triple A developers rather than indie developers. I have thought that big game developers have based their games around money rather than making great games, ubisoft are great at pumping out the same stuff and they still screwed up massively with AC: Unity (a 40gb update didn’t fix it fully). I must stop now, its been too much of a rant. The Evolve beta finished last week and after some thought I can happily say it was a really good surprise. The 4v1 game play idea intrigued me but before any game play I thought it would never work. boy I was happily surprised! My initial fear during my first 4v1 online game was that the monster would be either severely overpowered or massively underpowered. I can happily say that after a bit of a feeling out game to start, games were very balanced and predictably unpredictable, depending on how your monster player… plays. I had a small issue with levelling up a monster, you have to stop and go through a sub menu system select what upgrade you want, then you can start moving. Its fine to those who will always have a set plan on what to do, but for the casual gamer this can take up a lot of time. It lead to my first victory as we trapped the monster when it was stood still upgrading. A simple fix could be an auto upgrade feature or button so you could at least move. The tactics involved in Evolve is really great, the game is much better with friends as communication is the key to winning. splitting into 2, 2’s is the perfect way to go as you will never catch the monster if you just follow it. The variation between each class is great, it works in a 2 support and 2 attack type of way and its really fun to find the best way to play. Each has their unique weapons and abilities . Some may say there wasn’t enough load out customisation, I didn’t see this, it was a beta and i thought a lot more was available than given at the time (and even that was enough). You can ruin a game by putting too much in, I felt like the second monster was too annoying. It was the only time that the time limit was reached on a game I played, I rarely played as the monster so I didn’t play it, it either went invisible, or teleported, it was annoying, and quite boring for most of the game, we probablyonly saw the monster 4 times the whole time! 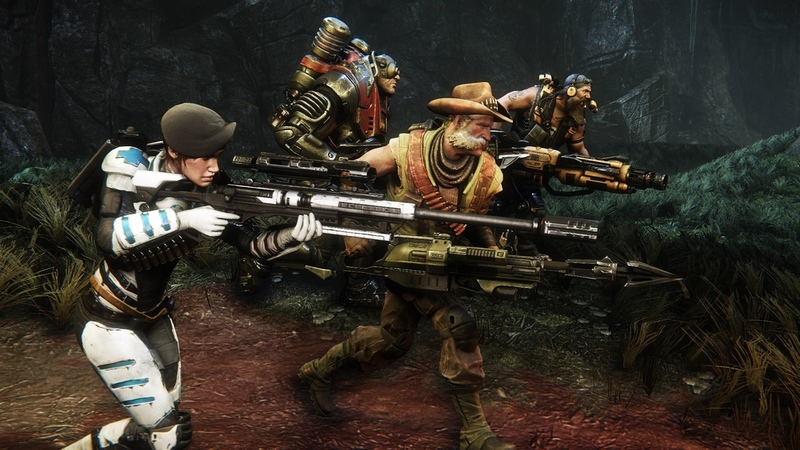 My main point on Evolve will be, play with friends, its so much better when you play as the 4 rather than the 1. The concept of the game works really well, its balanced and enjoyable. I hope that evolve has plenty of varied maps. I think this could be a great game, I’m happy to say this as I really thought it was looking like a big budget flop! Developer Oddworld Inhabitants Inc has also confirmed that all versions of the platformer will “take advantage of the post-launch improvements” made to the PS4 edition, including the “old school” control scheme requested by fans of the series. Achievements and cloud saving will also come to Xbox One. Fans of the Abe series will be very excited for the coming release following glowing reviews for the PS4 versions. Its taken a while to come but I’m sure it will be worth the wait. New year, new games. Anticipation is a new series I will run at the start of every month, picking the most anticipate game of each month and why it should (should being important in over hyped games) be awesome. There aren’t a lot of new games coming out to start the year, which is a good thing following Christmas and New Year but one game that should have caught a lot of people eye is Dying Light, haven’t heard of it? Think open world zombies with some free running that will actually be daunting with a dynamic day and night system. In the day Dying Light will be rather simple as you scavenge, save survivors get air drops and set up traps, zombies are slow and lethargic making them easily avoidable (think walking dead(the series)zombies). When nightfall arises the zombies become faster and sharper, the player must avoid being seen by the zombies and in a bad situation run away using traps to get away, In Dying Light zombies can be distracted by sound. There will also be a dynamic weather system in Dying Light, implementing rain fog and wind. Dying Light looks to be everything that dead island tried to be, a good open world zombie game with co-op and with 50+ hours of game play it certainly looks to be a great game to play soon! 2015 has just begun, but let’s take a look back at the top games of 2014. Telltale games have done it again, turning one of the more fun and vibrant games into an interactive story. It plays a little differently as you play 2 characters instead of one. 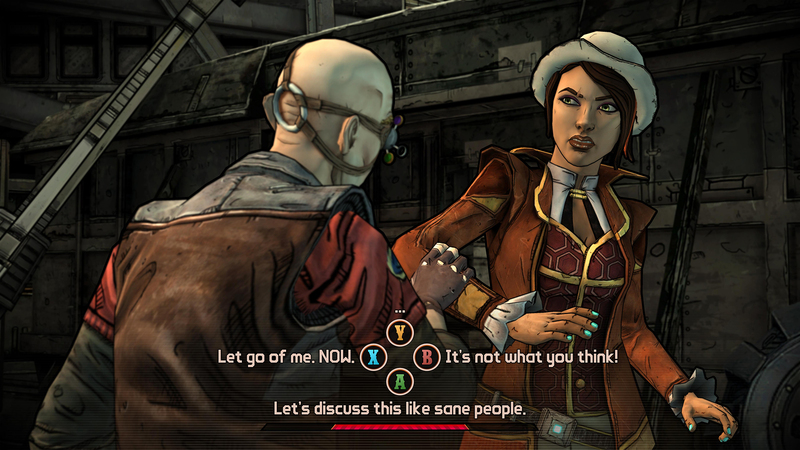 Humour is the order of the day for this game, plenty of classic Borderlands comedy is used, Telltale game have hit a great niche with its games. Its worms, its old but new and will never get old, little new features make worms a game that is playable all the time. Destiny was probably the most anticipated game of the year and the gameplay lived up to the hype unfortunately the story did not. Destiny will fill your time very well but the grind will wear thin after a while. Far Cry 4 is an excellent game, its gives the player choice of how to play the game, you can take the whole map or go through bit by bit with the story, the side missions are fun and the bonus of co-op makes this game a no brainer. 2014 hasn’t been fantastic for new games, I think 2015 will do better, 2014 will go down as the year of the remastered games, apparently there can be too many! Halo ODST will be remastered for Halo Master Chief Collection next year as an apology for a poor release of the broken game. No time-scale has been put on the remastered yet, but a release a couple of months prior to Halo 5 would fit quite well into 343 Studios marketing plan. Halo’s first instalment where Master Chief is not the main protaganist, you play as “The Rookie”, a lowly Orbital Drop Shock Trooper soldier dropped into hell, looking for clues to where his squad have gone, once you find a clue you play flashback missions as the missing soldier. Halo ODST is unique as you can play the story in any way, missions can be played in any order. With Halo ODST will come Firefight, a survival wave game type. This will add a great layer into an already fantastic game for content, 343 Studios need to fix a few bugs still, but I am looking forward to playing Halo ODST. Only Reach needs remastering now! Halo 5 beta has been made available for Xbox One preview members, a whole 10 days prior to the public release date on the 29th December. I have no problem with this is the beta is playable when the game releases, nothing has frustrated me more than broken games this year. 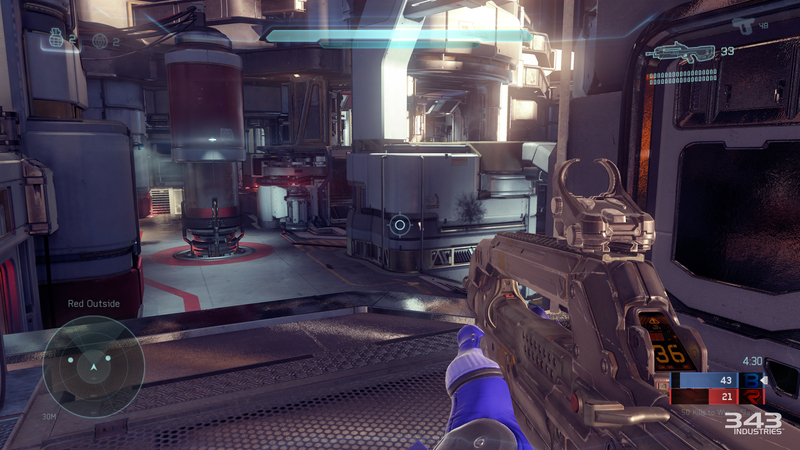 From early accounts Halo 5 beta has some neat new features in, including a smart scope which allows you to zoom in with any weapon and a ground pound ability which is similar to Destiny’s ‘havoc slam’. Along with obviously having new maps, there are some new weapons and spartan abilties, but companies like The Verge note that Halo 5 returns to what makes Halo great, which is possibly the best news for avid Halo fans! Previous Blog: Is Gaming Good For You? Can gaming be good for you? 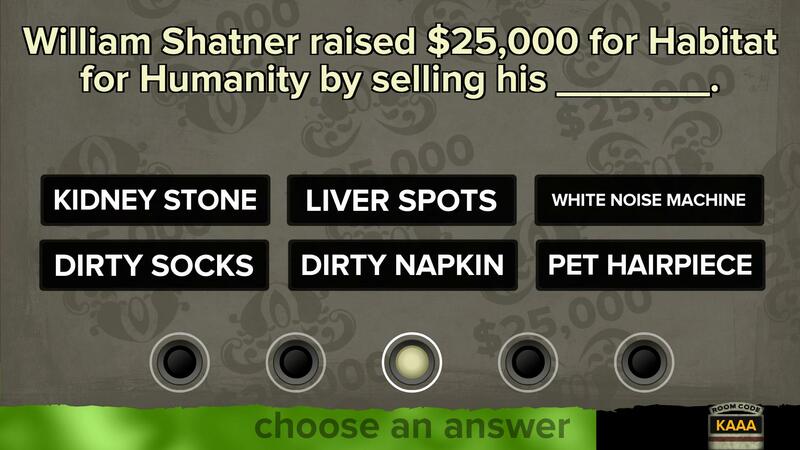 The short answer… it can’t be worse than watching TV. Gaming is viewed, by some, as an immature pass time that has stunted younger peoples brain development and creates an unrealistic norm for younger generations. The problem with this argument is that its exactly the same as watching TV, but you have some input into gaming developing hand-eye coordination. Gaming has been proved to improve the size of your brain, Adults were asked to play Super Mario 64 for half-an-hour a day over a two month period. ‘Brain volume was then measured via MRI and compared to a control group who did not play games at all. The gaming group showed increases but, perhaps most interestingly, these changes were more prominent in the participants who expressed the most desire to play the game.’ Pretty amazing hey? Gaming can also improve your vision… yes that age old statement of you’ll ruing your eyes sitting in front of a TV are a load of BS. ‘In 2007 the University of Rochester, New York, revealed a study that had found just 30 hours of “training” on a first-person shooter can result in a significant boost to one’s spatial resolution; that is, the ability to clearly see small, densely packed together objects.’ I personally have never understood the vision argument of gaming, what’s the difference between a few hours of gaming against looking at a computer screen at work all day? Gaming helps your decision making, a study says that gamers ‘develop a heightened sensitivity to what is going on around them, and this benefit doesn’t just make them better at playing video games, but improves a wide variety of general skills that can help with everyday activities like multitasking, driving, reading small print, keeping track of friends in a crowd, and navigating around town.’ This is most likely due to the brain constantly making decisions in everyday gaming, particularly in online games where every game will be that little bit different each time you play. So there are a couple of reasons that games are actually good for you, in moderation like everything. Its better than TV, you are actually doing something, screens aren’t damaging to eyesight like people think and violence isn’t a primary consequence of gaming, people are wired with violent genes, but that’s a different topic on the whole. I hope this blog will open peoples eyes, gaming is good for you, at the very least I will compromise on its not bad for you, fair? GTA V on Xbox One and PS4 was a surprise for me, I expected to play it and feel like I was playing the same game as before. The issue was, I have absolutely loved the new experience of playing first person, it surprised me a lot, but its surprisingly fun! GTA as a game series has never gone first person, it began as an over the top game, changed to third person and now is a brilliant mix of first and third person. It surreal, walking around a beautiful city then suddenly you are in the air after being hit by an on coming car, the camera in the air stays true to how it must feel, you get a little disoriented and the eventually stand up. It is genuinely a strange experience to figure out, something I couldn’t even imagine if someone used an Oculus Rift when the PC verions drops in January. 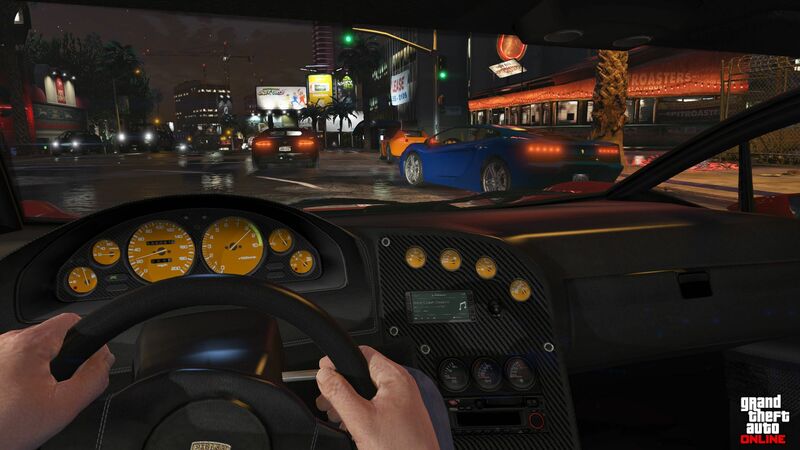 GTA V has stepping into the realm of First Person Shooters. The system isn’t completely streamlined, aiming down the sight requires you to hit left trigger and then click the right thumbstick to get to that stage, its a bit of a faff. The secondary issue is the auto aim assist that has plagued online deathmatches for a the life of GTA V. Auto aim takes the fun out of deathmatches and it is annoying that the default option is to have it on! Races on GTA do not have the camera locked to first person which I love and hate. Driving is much harder in first person as you can’t see around the car as easily. The challenge should be transferred to racing, but generally it isn’t. GTA could be a much more competitive online game experience than it is, it misses a trick on these fronts. Last couple of bonus points for the new version of GTA V, the graphical changes are not massive, character faces are better, and there is a lot more going on in the world, for example, traffic and animals are increased a lot, and my last positive is that online has expanded from 16 players to 30, meaning that the mental times on GTA Online happen even more often! GTA V has improved the little things which has made a big difference, the game is as good as ever! Definitely worth a buy if you had it on the previous generation and if you have never played it before… why haven’t you?